Most people with flat feet don’t even know it. Take Jessica Onder, for example. She was on the swim team, rifle team and marching band. One day, she stepped on a rock, sprained her ankle and found out she had a condition that affects roughly 30% of people: flatfoot. “Before that, I just always thought I had normal feet,” she told KDKA News. Suddenly she was faced with the need for surgery. Do YOU Have The Symptoms Of Flatfoot? It’s not so bad to have the feet of royalty, right? Well, other symptoms of flatfoot include pain, cramping, spasms, slow walking, slow running and pain that limits activity, especially during a busy day. We can all agree that is no fun whatsoever! Furthermore, flat feet can put added strain on the leg joints, causing ankle arthritis, stress fractures and knee pain. Remember poor Jessica Onder of Pennsylvania? It turns out, she needed extensive six-and-a-half-hour surgery to reconstruct her entire foot. “She needed tendons taken out of her toes and move over,” her mother explained. Then it took three-and-a-half months for Jessica to recover. Besides the scars, Jessica says she is back to her normal life again. But what is flatfoot surgery really like? Is it worth the stress and recovery? Actor Gbenga Akinnagbe is best known for his role in the HBO series The Wire. Recently, he detailed his experience with flatfoot surgery in a NY Times article. “I have had pes planus, or flat feet, all my life, and the condition never stopped me from doing anything I wanted to do,” he said. He never thought of it as a medical issue until the pain became so bad he could barely walk or stand. It began to affect his back and knees. He tried orthotics, foot taping and braces before meeting with an orthopedic surgeon. Generally, the surgery is done one foot at a time so the patient isn’t completely immobilized. Gbenga’s operation would consist of six procedures — a posterior tibial tendon repair, F.D.L. 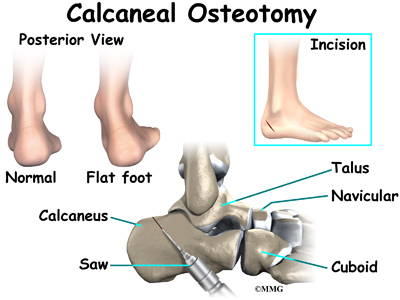 tendon transfer, calcaneal osteotomy, lateral column lengthening, iliac aspiration and gastroc release. Sounds like a tall order, doesn’t it? The out-of-pocket costs soared above $4,000. Fortunately, his foot responded better than expected and he only required the osteotomy and gastroc release. The surgeon extracted marrow from his hipbone with a needle and soaked an inch-long cadaver bone graft in the marrow so his body would accept the donor piece. The graft was then wedged into his ankle. His heel was cut off, moved a few millimeters and screwed into his foot to create an arch. The gastroc release involved a snip in his calf muscle to lengthen it and provide relief from years of tightness. Gbenga was given two six-week prescriptions for oxycodone. He didn’t want to take painkillers, but the pain consumed him. “I was punching the air blindly and biting the cushions on my couch,” he recalls. He was able to get off the medication after five days. After a few weeks of bed rest, he met with the doctor to have his stitches removed, shed the soft cast and get into a boot. Four weeks later, he was able to put some weight on his booted foot. After ten weeks, he began physical therapy. “After 14 to 16 weeks, I would be able to blend in with other New Yorkers,” he said. Even so, the recovery was not quite over yet. Flying in an airplane caused his foot to swell up “like a clown’s contorted balloon.” Despite all he went through, the success rate is 90% — sometimes even higher, which is pretty good. The bad news is that he still has the other foot to go! Is Flatfoot Surgery Really Necessary? Surgery should never be your first solution. Most people are treated with shoe inserts, more supportive shoes or weight loss. Sometimes losing just 10 pounds is enough to correct trouble associated with flatfoot. It’s best to seek a few opinions on the matter and exhaust all other options before taking the leap to have surgery.